The Remington 870 Express Fully Rifled Deer Barrel features front rifle sight and rear rifle sight but you can get optic sight to be able to shoot further. The barrel itself is 20 inches in length and can be easily maneuvered for better handling in an intense situation. The chamber is 3 inches which means that it can support 3 inches shotshells too. 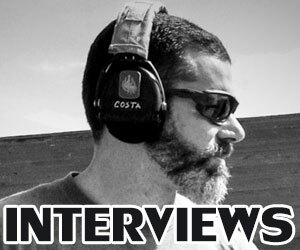 It allows you to experiment with different ammunition until you find the one that works for you. 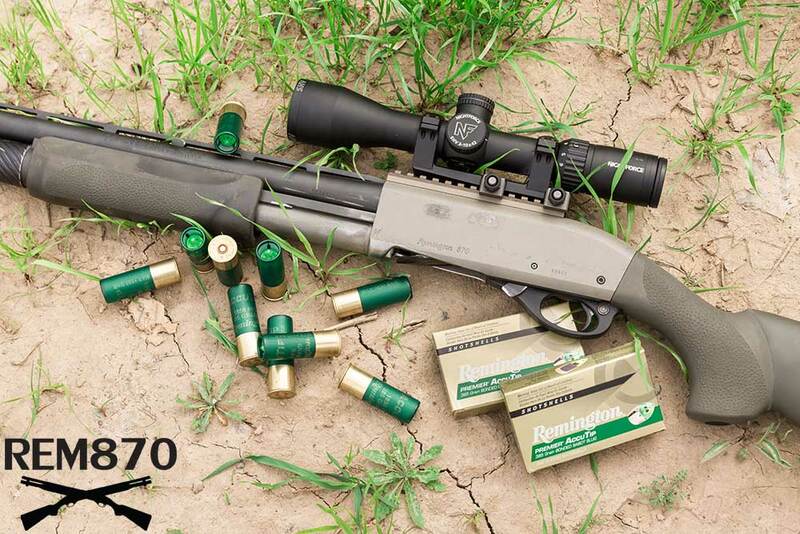 The Fully Rifled Deer Barrel will be no problem for you to install onto your existing Remington 870 Express pump-action shotgun. 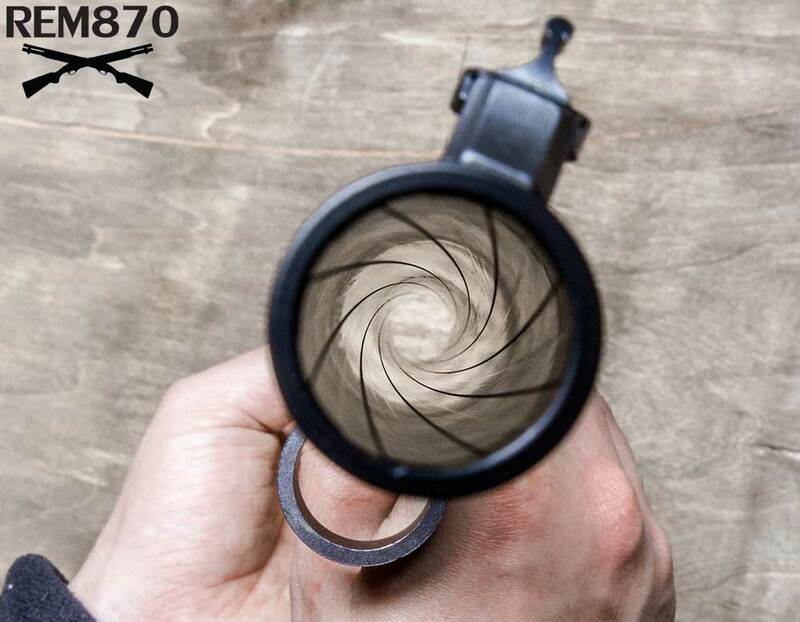 The specifications of the rifled barrel are the same as the specifications of the factory barrel. Therefore, once you remove the factory barrel from the weapon, you just drop in the rifled barrel in its place. It should fit perfectly into the weapon without having any issues. Check the instructions which come with the barrel to learn the steps of this basic installation process. 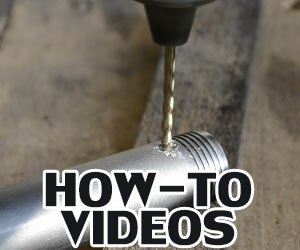 They are very simple to follow, so don’t think that you need to be a gunsmith to figure it out. Once you learn to do it the first time, it will be simple to do again in the future. 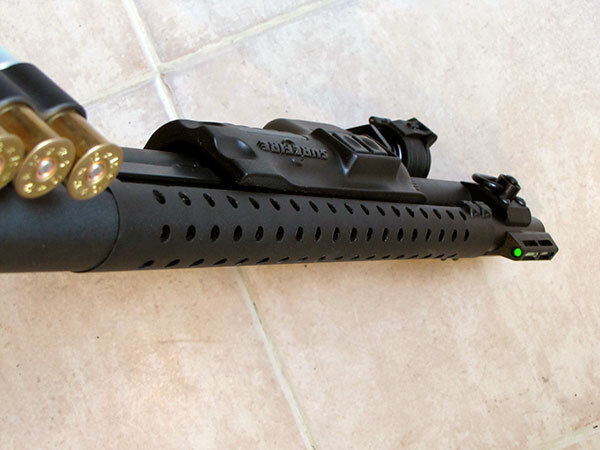 There are two versions of the Remington 870 Express Fully Rifled Barrel available. One version is for a 20-gauge shotgun and the other is for a 12-gauge. The 20-gauge version of the barrel is priced at $188.99 on the Brownells online store. The price of the 12-gauge version is $219.99. Both barrel versions have a black color, so they will be aesthetically compatible with your Express 870. The weight of the barrel is about 2 ½ pounds. This is about the same weight as the factory barrel. For this reason, you should not feel too much of a difference there while holding your weapon. 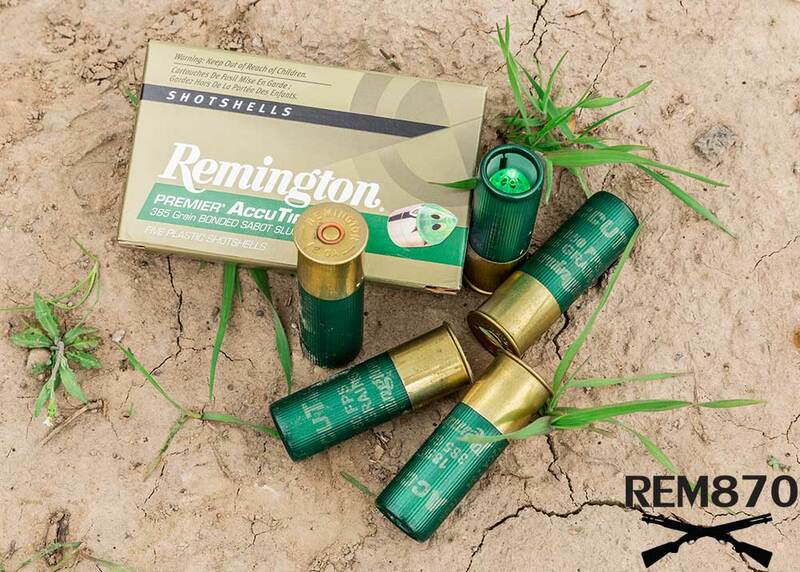 Remington Premier AccuTip Bonded Sabot Slug Ammunition is certainly original as far as slugs go. These slugs are made specially for rifled shotgun barrels. 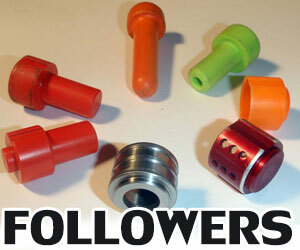 They are specially tipped for high accuracy and performance in the field. AccuTip refers to this technology as the Power Port tip, which they have trademarked. 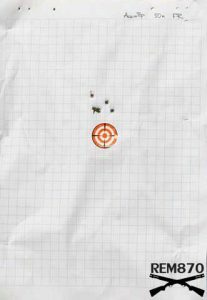 Whether you are shooting the slug at 5 yards or 200 yards away from your target, it will shoot in the precise direction where you want it to go. This aspect can be attributed to its spiral nose which keeps it moving far in one direction. The recoil of this slug is stronger but this is the price you pay for the accuracy on long distances. It is advertised to have a huge permanent wound channel but i didn’t have a chance to test it on hunting. 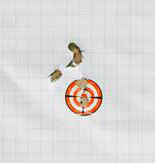 High speed of the slug is particularly helpful if you’re shooting at a moving target, such as a deer. The AccuTip Sabot Slug is available in 3 inches and 2 ¾ inches. 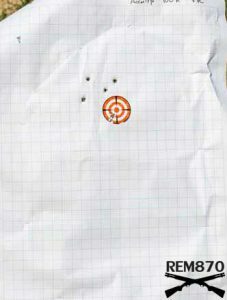 The ammunition is compatible with 12-gauge and 20-gauge shotguns which have rifled barrels on them. If your current shotgun does not have rifled barrels, then you can always upgrade your existing factory barrel to a rifled one. If you’re trying to turn your shotgun into a slug gun for shooting deer, then a shotgun with a rifled barrel is the most popular choice. Hunters find the rifled barrel is the most accurate when it comes to shooting sophisticated slugs like these. 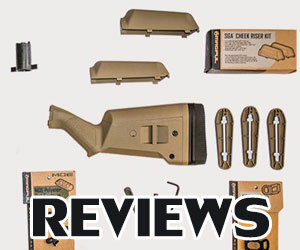 The cost of a 5-round box of 12-gauge AccuTip Sabot Slugs that are 2.75 inches is $14.49. 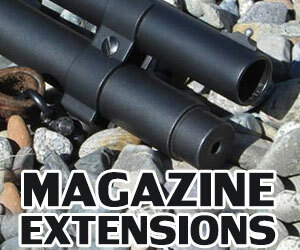 If you go for the 3-inch ammunition for the same gauge, it is $16.49. If you choose the 20-gauge ammunition, this only has 3-inch ammunition available. A 5-round box of those is $16.49. You can purchase this ammunition at sporting goods stores. If you find the ammunition to your liking after you try it out, you could possibly find a discount on a bulk purchase of this ammunition. Does the fully rifled barrel have a scope mount? There are several variants of the rifled barrels, some of them have a scope mount.